What’s the most valuable marketing asset you have at your small business? Your e-mail marketing list is, at the very least, high on the list. With your e-mail marketing list you have a database of captured leads—which is not quite the same as having a captive audience. You’ve still got to work and be strategic to get those marketing e-mails opened, read, and acted upon—a tough job, but highly advantageous if you can pull it off. Sadly, we see a lot of small business owners who don’t pull it off, despite significant investments in e-mail marketing. 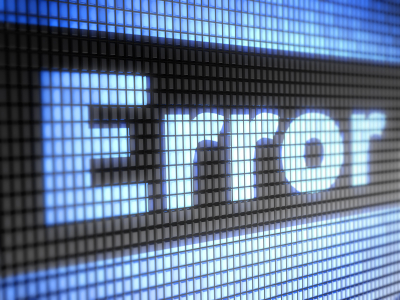 They approach e-mail marketing with enthusiasm, but not necessarily with proven strategies—and this can lead to some fatal errors. For instance: Most small business owners know that the headline is all-important. If you want your marketing e-mails to have any effect, you need them to get read, which means including an attention-grabbing headline. But there is such a thing as overhyping it. Ridiculous, Buzzfeed-style headlines are too readily associated with spammy marketing techniques; when you include a headline that promises earth-shattering results, that calls the integrity of the product into question. Good headlines are short, snappy, and focused on value, but they’re also honest and not overblown. Another common problem: Small business owners get so carried away in e-mail automation that they forget to include a personal touch. For example: Do your marketing e-mails arrive from “admin” or “noreply”—or do you have an actual name in the Sender field? And do they conclude with a personal signoff from your owner, marketing director, or CEO? Remember that people like to interact with other people; an e-mail from “noreply” is hardly an invitation for further engagement. Another sign of e-mail marketing overzealousness: Marketing e-mails that announce company news or promote products but don’t actually offer something of value. Remember to ask yourself this about any e-mail you send: What’s in it for your customers? We had a client recently who wanted to send an e-mail announcing his company’s new website. If your only hook is hey, we have a new website, don’t be surprised if nobody particularly cares. But if you can position that website as an invaluable resource for your customers—now you’ve got something. 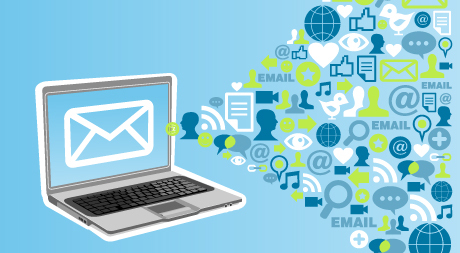 The bottom line: E-mail marketing isn’t just a matter of passion. It’s a matter of careful thought. Grammar Chic, Inc. has plenty of experience building winsome e-mail marketing campaigns. To learn more, contact us today at www.grammarchic.net or 803-831-7444. Let’s start this one with a hypothetical. Imagine it’s a Tuesday morning, around 11:45. You’re in your office, just preparing to head to the car to go meet a client for lunch. As you walk out the door you flip to your phone to check your e-mail. You have a couple of new messages, and both of them are for e-mail lists you’ve signed up for. We’ll call them the e-mail lists for Company A and Company B. Company A has sent you an exhaustive missive that details everything about their new line of products—eight products in total, with a full paragraph of information on each one of them. The full e-mail is more than 700 words! Company B has sent you a quick reminder to call them if you have any needs they can meet. Their e-mail is exactly three sentences long, including a call to action. It totals 35 words. Our questions for you are two. The first question: How likely are you, really, to read the e-mail from Company A? One glance at that litany of text and you’re probably going to swipe it into your trashcan. It’s not that you’re uninterested per se—but really, who has the time? Our second question: Don’t you think it’s pretty likely that you will read the e-mail from Company B, at least if the headline is compelling enough for you to open it in the first place? Reading 35 words takes only slightly more time than it does to delete the message; why not give it a cursory scan? And that’s the point here: E-mail marketing tends to be the most significant and successful form of content marketing, yet it’s the e-mails that are short and sweet that get the best results. And that brings us to the topic du jour: How do you ensure that your marketing e-mails are as brief, as lean, and as focused as possible? Treat your e-mail like a landing page. A landing page is a piece of Web content that’s designed to do one thing and one thing only—to convert customers and get them to take a specific action, whether it’s to sign up for an e-mail list, buy a specific product, or download an e-Book. A landing page is focused on just one topic and getting the reader to take just one action, and as such a landing page is always going to be extremely direct and uncluttered. Use the landing page mentality as a guide for your marketing e-mails. Let images do the talking. A picture’s worth… well, you know. Images can make great marketing e-mail fodder; a quick piece of graphic text can be more attention-grabbing than a full written paragraph, and using an image forces you to keep things brief. Here’s an e-mail marketing strategy that tends to work well: Provide the first three or four sentences of a really great new company blog post, as a kind of a teaser, and then redirect readers to the blog itself for more information—“Click here to read the rest.” Not only does this drive traffic to your blog, but it also helps ensure your e-mail message is short and snappy. E-mail marketing works—especially when it gets to the point. For assistance with any of this, contact the Grammar Chic, Inc. team at your convenience! Call 803-831-7444, or visit www.grammarchic.net. Have you ever received an obviously spammy, advertorial, mass e-mail—crudely written and flagrantly promotional—and taken great relish in moving it from your inbox to your spam folder? It can be fun, even therapeutic, to put spammers in their place like this. Of course, when it’s your business e-mail that gets put into the spam folder, then it’s a different story. The truth of the matter is that your e-mail recipients can click on the ‘Spam’ button any time they want to—and the more they do, the more likely it is that your company’s e-mails are going to be blacklisted, which means they’ll begin to automatically show up in spam folders instead of inboxes—effectively killing your e-mail marketing campaign. That’s not what you want to happen, obviously, but how can you avoid it? A basic point to keep in mind as you design your marketing e-mails is that, when your e-mails get flagged as spam, that increases the likelihood of them being blacklisted—so if you want to avoid the blacklist, you need to avoid giving your recipients a reason to flag you as spam. Now, folks who actually signed up for your e-mail newsletter probably aren’t going to flag your e-mails as spam, especially not if you give them an easy way to opt out of your e-mail list should they ever desire to. For “cold” contacts, though, you need to make sure your e-mails are well-written, devoid of typos, and generally come across as professional. Take some time to make sure your e-mails offer something of value—not just a great discount but also some real content, like links to your company blog or to your Pinterest page. The method you use for sending your e-mails is also important. If you simply send a bulk e-mail from Microsoft Office, well, you’re very likely to get yourself on the blacklist. That’s a huge no-no, which is why it’s important to invest in a platform like Constant Contact (what we use at Grammar Chic, Inc.) or Mail Chimp. These platforms provide you with a lot of great tools, templates, and analytics, but the mere fact that they keep your e-mails from automatically being blacklisted is reason enough for the investment. 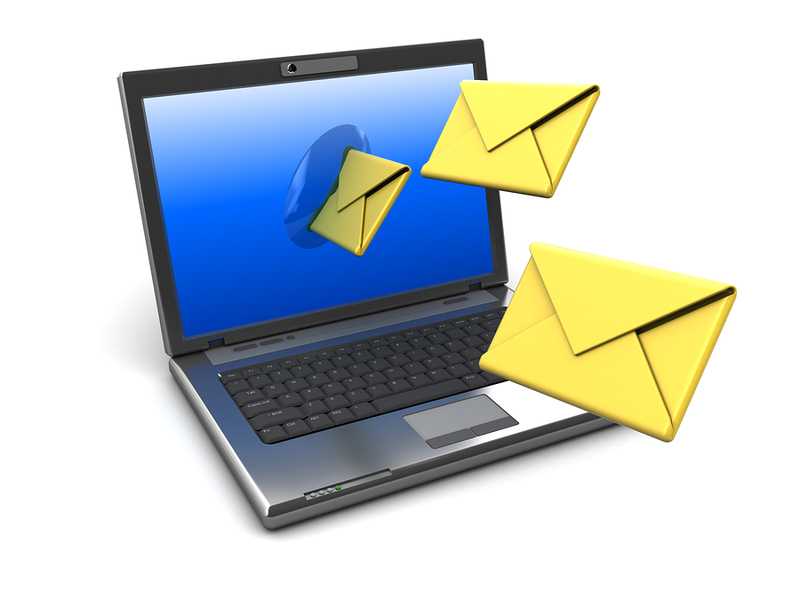 On a related note: Make sure you have a dedicated e-mail account set up for your e-mail marketing messages. Having responses forwarded to a personal e-mail account is an old spammer’s trick, and it may get you blacklisted. Impersonal subject lines and greetings, i.e., Friend, to whom it may concern, etc. Words associated with multi-tier marketing, including direct marketing. Generic calls to action, like click here or click below. Cheesy marketing buzzwords—once in a lifetime, miracle, one-time-only, pre-approved, get paid, save $, save big money, no investment needed, incredible deal, fast cash, discount, free, f r e e, etc. Again, if you focus on offering value and substance, rather than framing your e-mails as glorified infomercials, then you’ll probably be alright. As with everything else in online marketing, content quality really is king—so if you need help constructing quality e-mails, we invite you to contact Grammar Chic, Inc. today. Visit http://www.grammarchic.net, or call 803-831-7444.